Manchester United have improved drastically under caretaker manager Ole Gunnar Solskjaer, losing just once in 12 games across all competitions since his arrival. The Red Devils have scored 28 goals in those matches, failing to score on just one occasion – last night’s 2-0 Champions League loss to Paris Saint-Germain. While United’s attack have been frightening, with the likes of Marcus Rashford, Jesse Lingard, Anthony Martial and Paul Pogba doing a lot of damage in the final third, the team’s defence could do with more improvement despite the little changes that have already taken place. 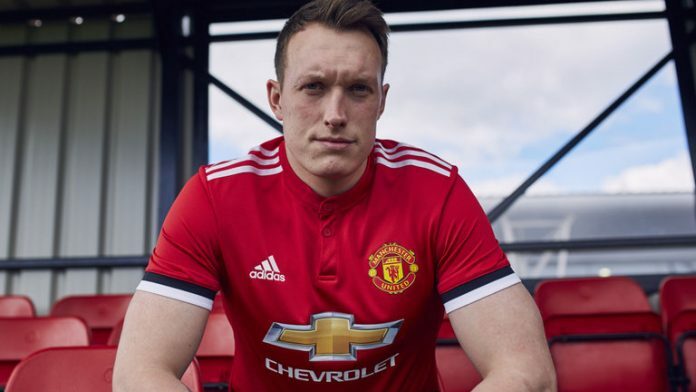 Although the Old Trafford outfit have shipped just nine goals and kept five clean sheets under Solskjaer, English centre-back Phil Jones reckons they can still improve defensively and has promised they will. “It’s okay saying ‘we need to attack attack attack’, but you know there’s two sides to the game, defending is the other side and I think overall we’ve got better at that,” Jones replied when asked if the United defence had improved alongside the attack. United struggled defensively against PSG at Old Trafford, with Kylian Mbappe and Angel Di Maria particularly proving to be quite the handful. The duo of Eric Bailly and Victor Lindelof couldn’t contain the French side, and it remains to be seen if Solskjaer will stick with them for the second leg or bring in Jones. Goalkeeper David De Gea is the most reliable member of the Red Devils backline due to his consistency and excellence over the years, and others must improve swiftly if they are to play Champions League football next season.